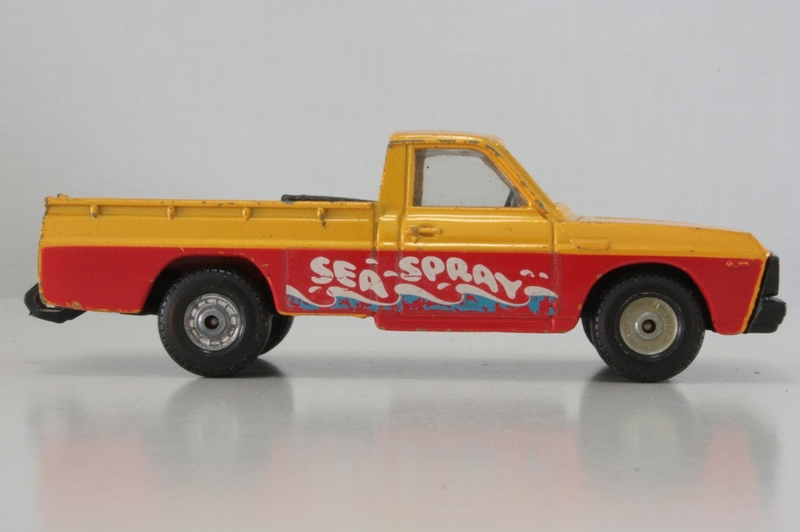 I think I would have called this the 'Seaspray Gift Set' - 'Mazda B1600, Trailer and Dinghy' is a bit of a mouthful. 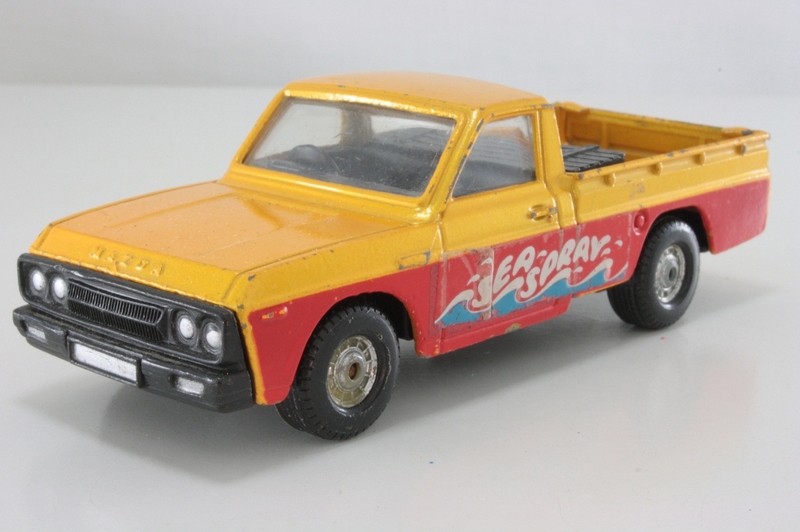 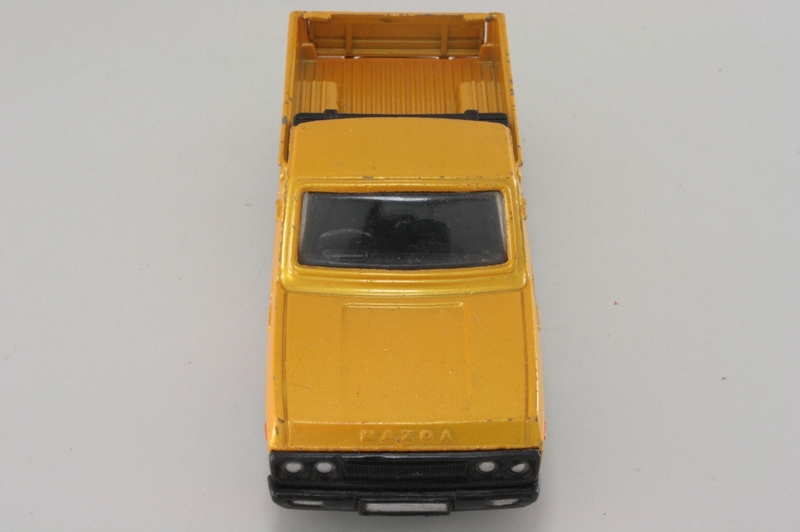 It is a nice and imaginative way to get a bit more mileage out of the ever-versatile Mazda B1600 pickup truck. 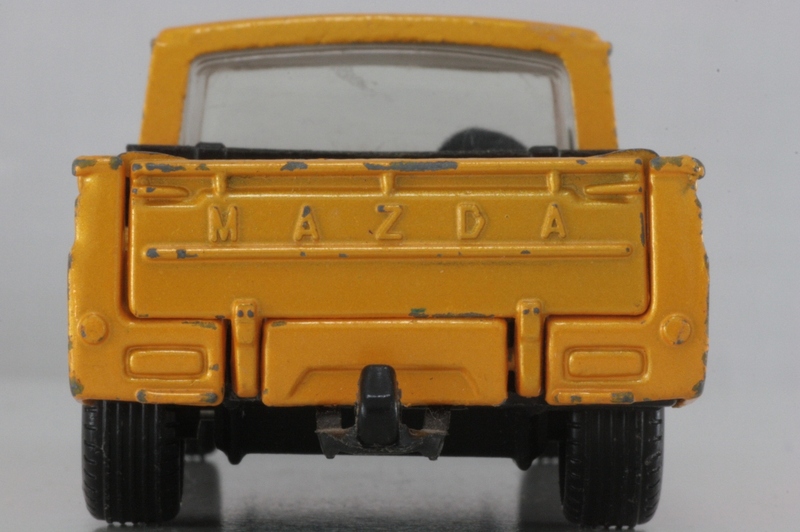 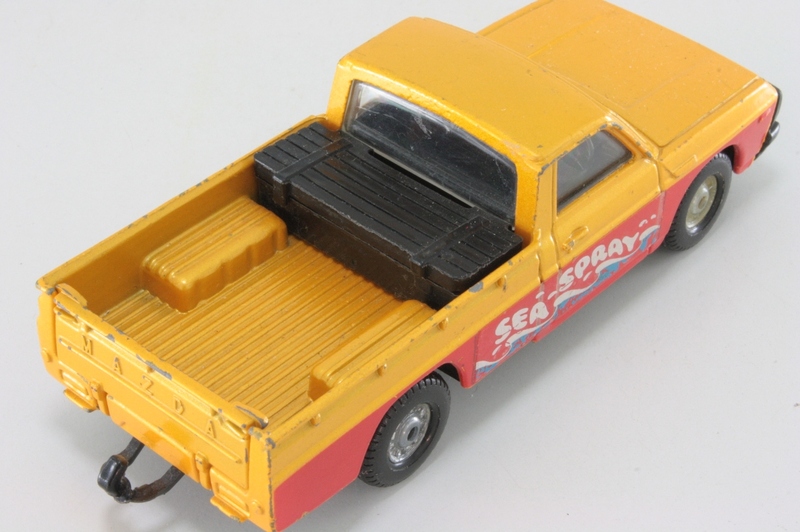 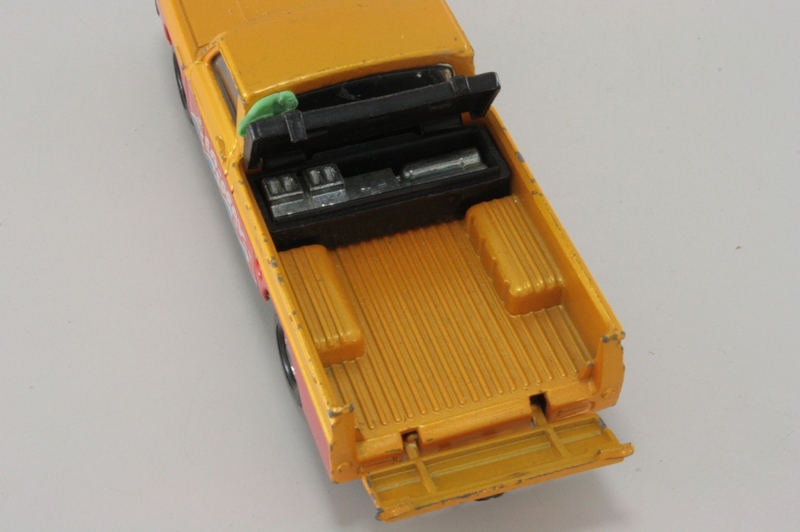 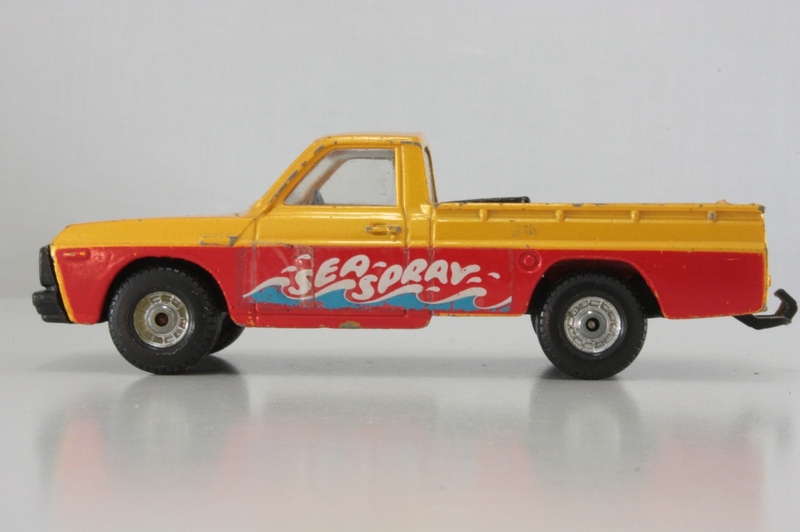 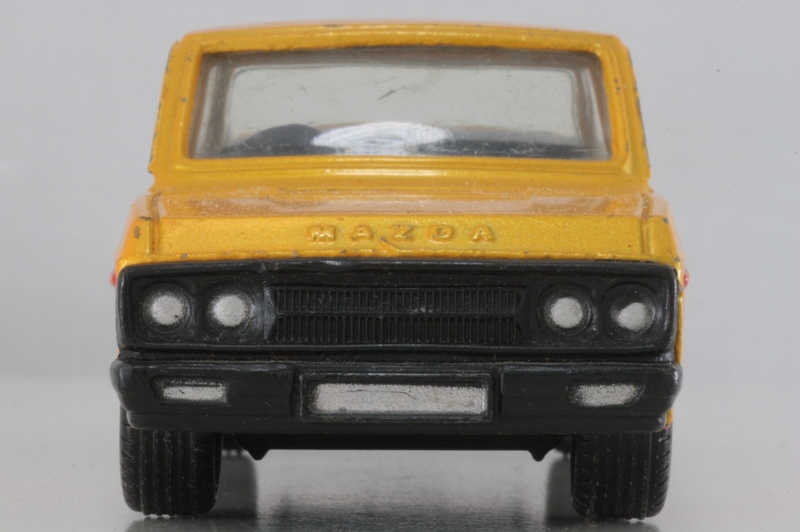 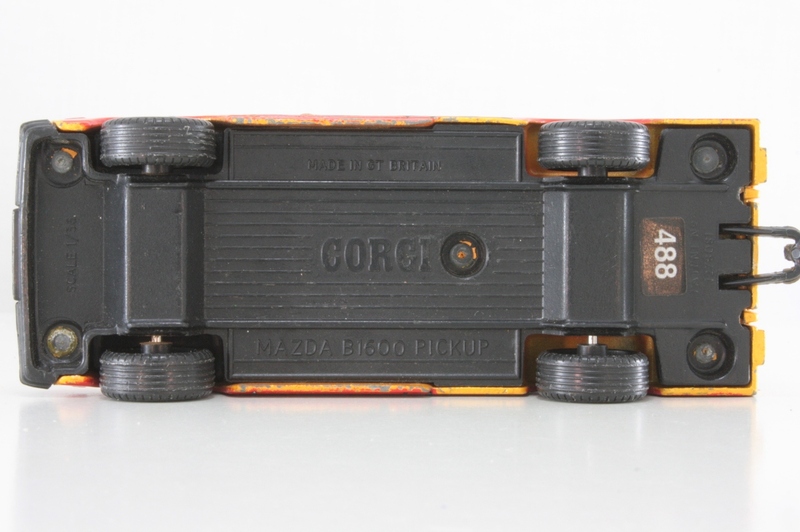 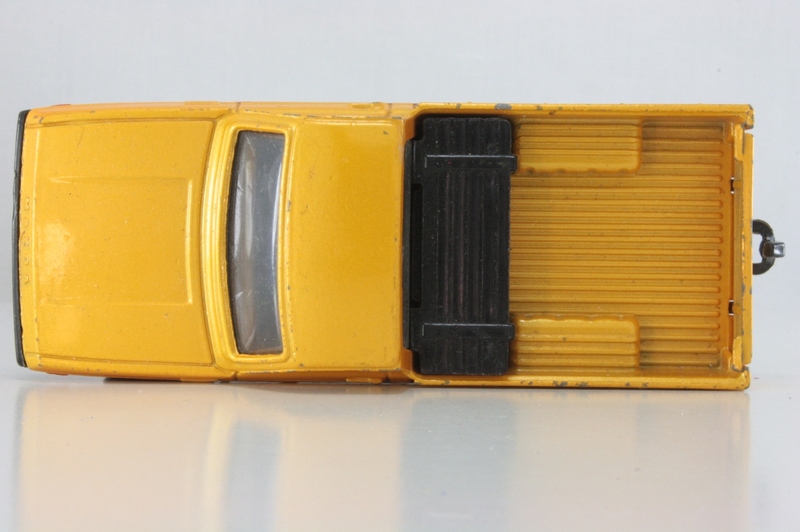 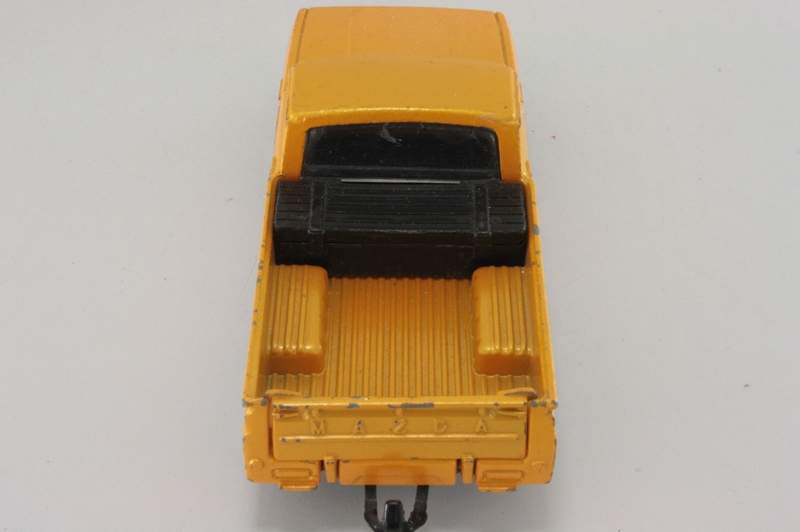 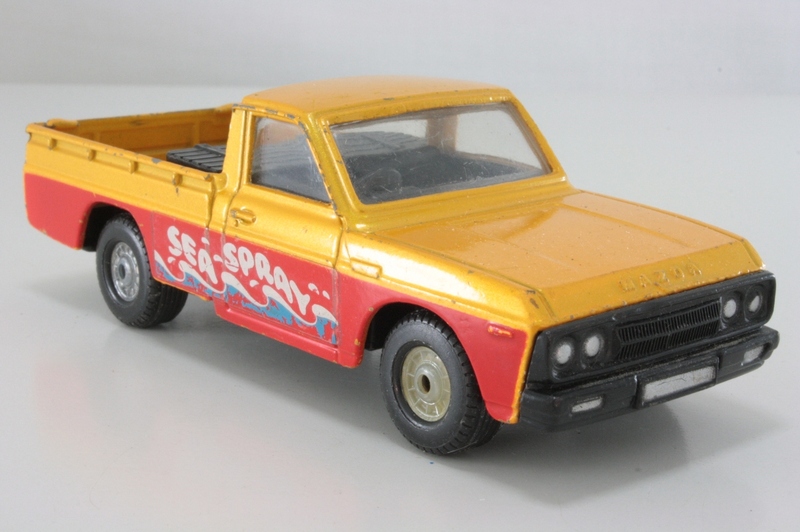 The full set consists of the No.493 Mazda repainted red and yellow with a nice, detailed toolbox in the back containing diving gear. 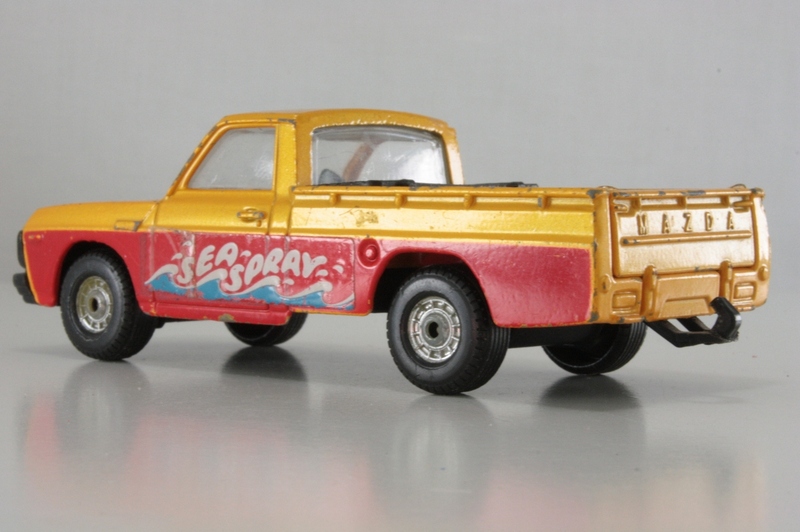 Towed behind the pickup is a dinghy on a trailer with a diver figure and all the pieces are in matching red and yellow. 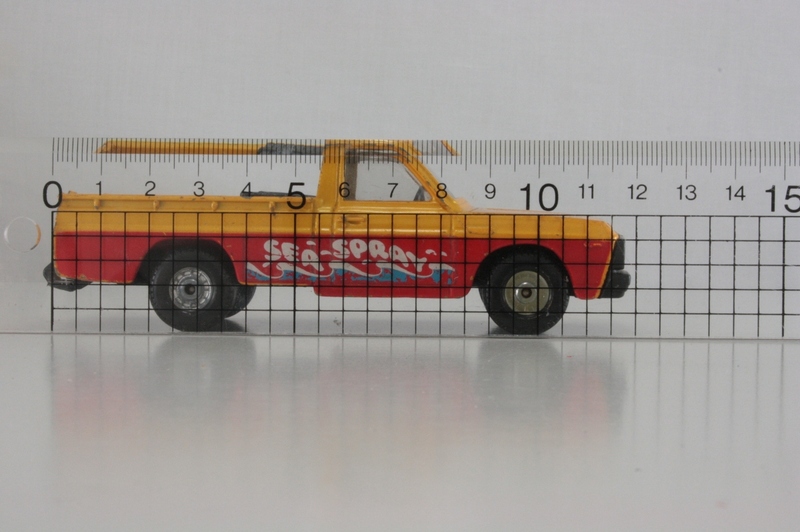 The set was produced from 1975 to 1978 and there are no listed variations. 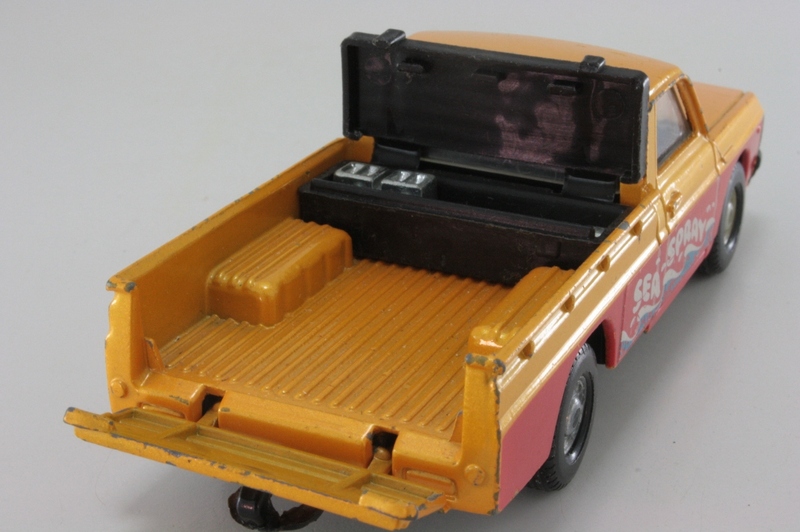 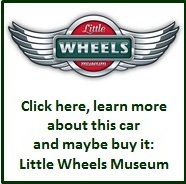 Hillman Hunter Rally car, VW Wrecker, Pennyburn trailer - how many more?